Playing outdoors is exciting, which is why kids and adults love it so much! There are all kinds of new smells and sensations, to experience when you’re outdoors, which go a long way to helping you to feel connected to nature. Not to mention the amazing physical benefits of playing outside for kids. Safety is an essential concern for parents who want to see their kids outside and getting the most out of the physical activities that are available, but without risking their kids getting hurt. How can you be sure that your child is safe while playing outside? Here’s some real advice that will help you keep your child safe while they enjoy the great outdoors. Before digging into the padding, it’s good to review the basics. Here are a few important things to remember. Many, many accidents can be prevented with just these few steps! Remember that no amount of padding will protect your child from injury if they get into the street. And also, that padding is no substitution for adult supervision. If your child is mobile on anything but their feet, then they need a helmet! A proper fit is important for a helmet, otherwise, it’s not offering the right protection! 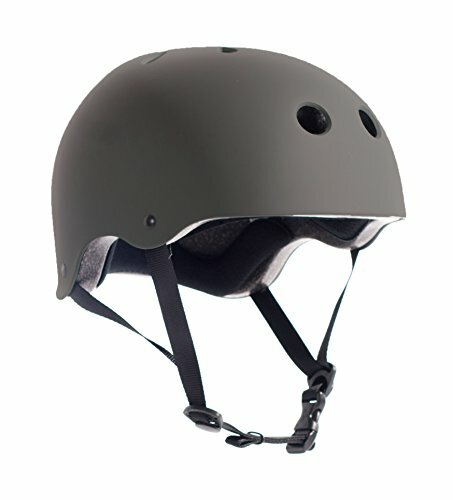 Helmets should be snug over hair and shouldn’t wobble once buckled. The strap should stay under the chin without pinching. Helmets should never block vision. 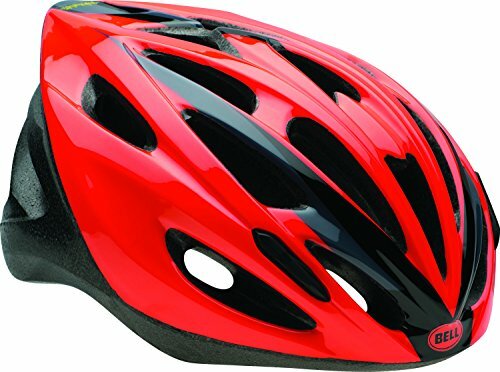 Be sure that the helmet that your child is wearing is approved by a safety organization. There is very little regulation of helmets for children, and many don’t offer as much protection as is really needed. 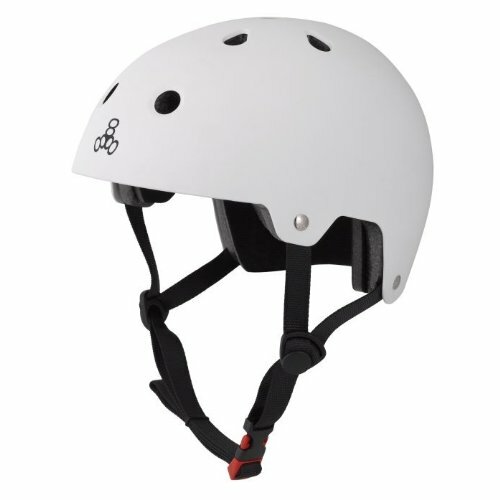 Here are some Consumer Product Safety Commission (CPSC) approved helmets for kids of lots of ages. One note about helmets. While it’s tempting to think that kids should just wear a helmet all of the time – wouldn’t it be safer? – it’s actually a bad idea. Helmets also pose a choking risk if they get caught on playground equipment or in a tree, so it’s better to leave the helmet off for those activities. 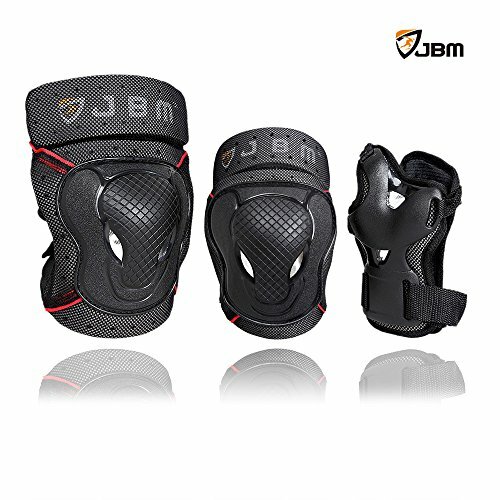 Kids should wear proper padding in addition to helmets for rollerblading, skateboarding and scootering. What kind of pads do they need? 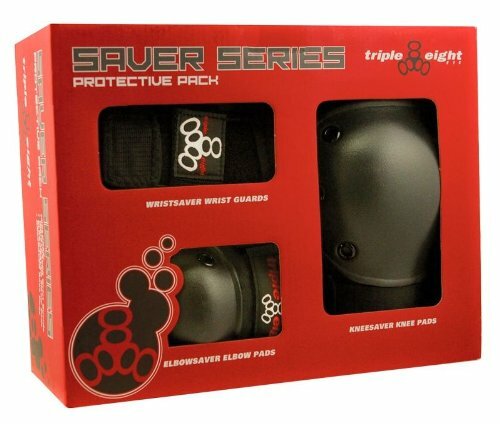 There are three real places that kids need that extra protection. 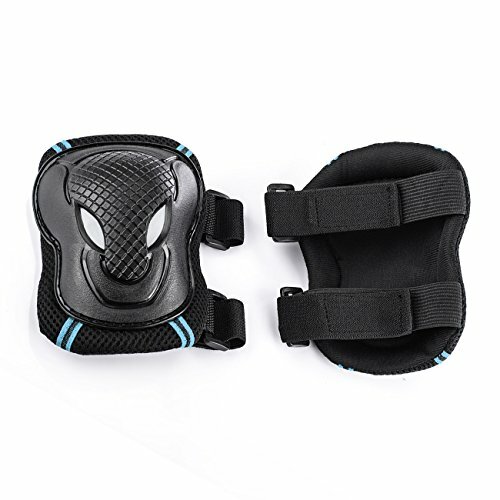 It’s not a bad idea for kids to wear these pads when they’re riding their bike as well, with the exception of wrist pads which actually decrease the steering ability of kids on bikes. These three areas are the most prone to injury and it’s here that you want to make sure that your child has the support that they need. Kids, even young kids, can get some serious speed when they’re playing on wheeled toys and that speed can lead to the impact that little joints can’t take. A broken wrist or elbow is no fun for a child and is terrifying for the parent. These three points are the most likely points of impact during outdoor play. Pads should be snug but not so tight as to cut off circulation. When the elastic wears out and pads don’t fit any longer, it’s time to invest in a new set. Be sure that kids always have access to padding when they’re playing by storing it near their riding toys. The other thing to keep in mind is that clothing does offer protection from scrapes and road burn. Jeans or thick pants are a great idea for kids to wear when they’re outside playing. Again, keep in mind that the most important piece of safety equipment is adult supervision! Kids who play outside alone are much more likely to suffer injury than are kids who are properly supervised.